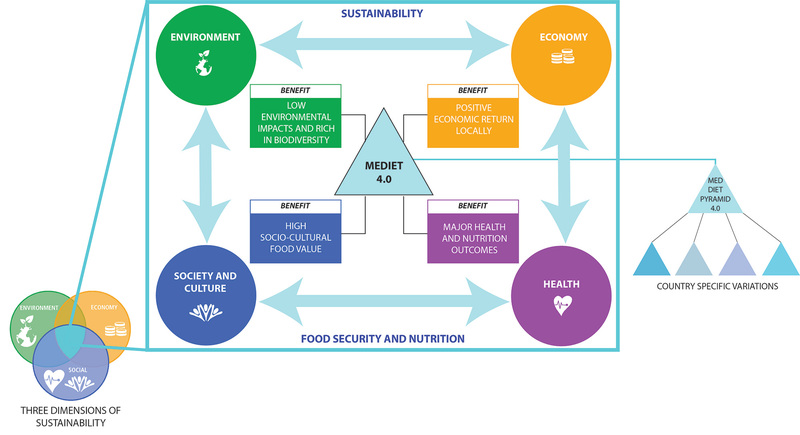 The IFMeD Scientific Committee is proud to announce the publication of Med Diet 4.0 in the foremost scientific journal Public Health Nutrition as a milestone to characterize the Mediterranean diet as a sustainable diet model with four sustainable benefits. By providing a broader understanding of the many sustainable benefits of the Mediterranean diet, the Med Diet 4.0 – in which four sustainability benefits of the Mediterranean diet are presented in parallel: major health and nutrition benefits, low environmental impacts and richness in biodiversity, high sociocultural food values, and positive local economic returns – can contribute to the revitalization of the Mediterranean diet by improving its current perception not only as a healthy diet but also a sustainable lifestyle model, with country-specific and culturally appropriate variations. It also takes into account the identity and diversity of food cultures and systems, expressed within the notion of the Mediterranean diet, across the Mediterranean region and in other parts of the world. 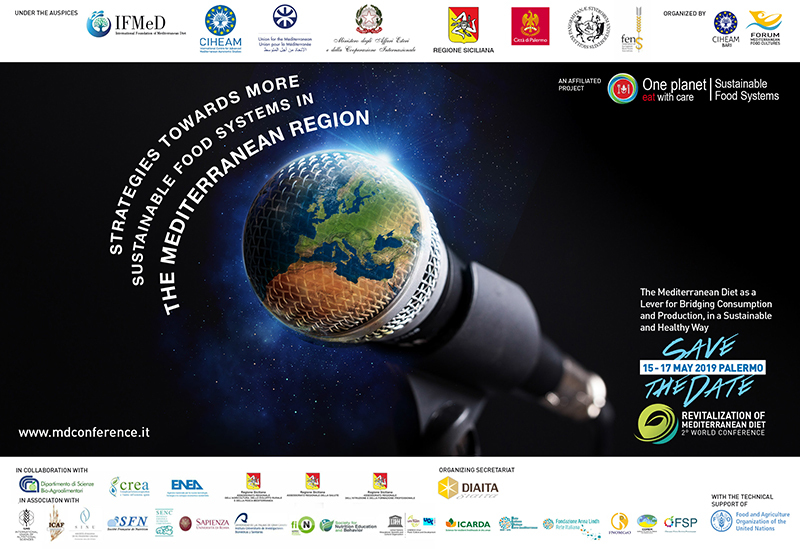 “The Med Diet 4.0 provides a conceptual multidimensional framework to characterize the Mediterranean diet as a sustainable diet model, by applying principles of sustainability to the Mediterranean diet and it is an effective contribution to the 2016 Call of Action for the Revitalization of the Mediterranean Diet issued at the First World Conference held in Milan in July 2016”.